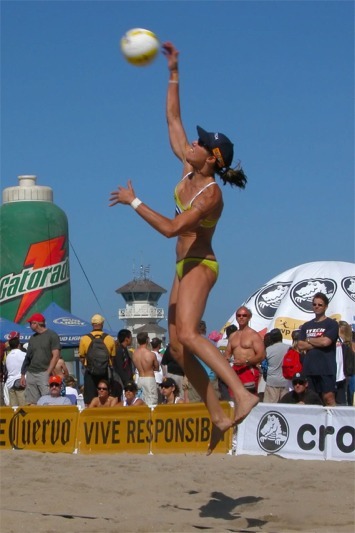 click photo to enlarge The Association of Volleyball Professionals (AVP) was at Huntington Beach Memorial weekend. My brother came in to town for the tournament. His first time on an airplane in about 25 years. The first day we just dropped him off. 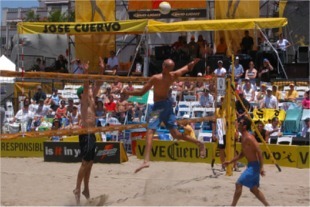 The second day I went along with him to the tournament. click photo to enlarge My brother wanted to be there for the first match of the day that started at 8:30. So, we had to be there at 8:15. As you can see, there weren't many others who felt the same way. HaHa.. THE SEATS ARE EMPTY! This picture is of the favored Misty May-Treanor and Kerry Walsh who ended up winning the women's tournament. The previous weekend they also won and that weekend put Misty over the $1 Million mark in career earnings. Earnings for the win this weekend were $50,000. click photo to enlarge The remaining pictures show some of the action. 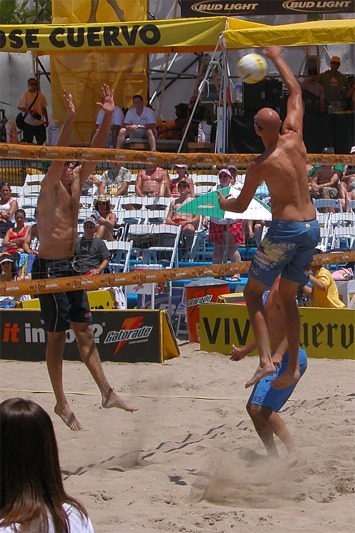 In the lower left is Phil Dalhausser going up to spike the ball. 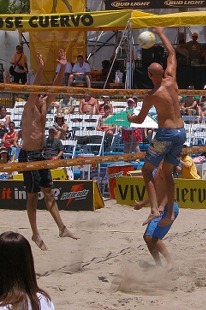 He and Todd Rogers ended up winning the men's tournament. 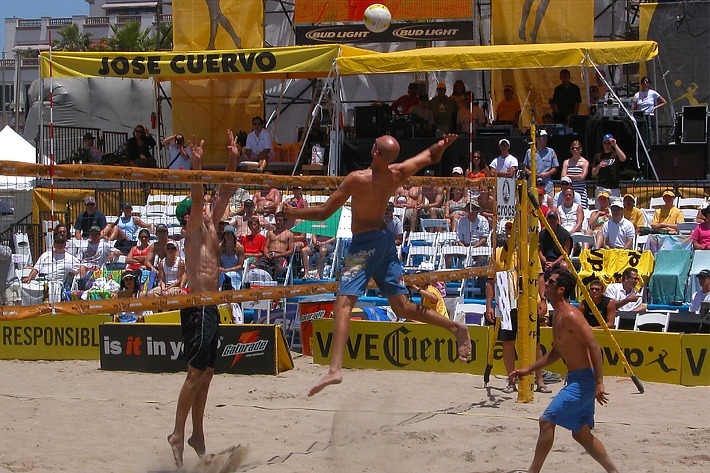 Notice how high up off the sand he goes. The picture on the lower right is Holly McPeak. They were getting ready for Misty and Kerry to finish them off.